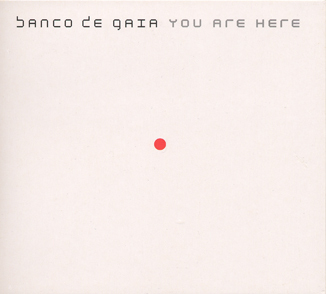 You Are Here is the first studio album by Banco de Gaia since Igizeh in 2000. The album is a series of musical snapshots of the world we live in as of 2003. It is not a slogan-shouting political tirade, more a meditation on how things are, a globally inspired series of soundtracks. From the typical Banco de Gaia floor filling booty-stomper Zeus No Like techno to the introspective and haunting heart-felt tracks Gray over Gray (featuring Jennifer Folker on vocals) and Still Life, You Are Here sees Banco de Gaia back on world beating form and as difficult to classify as ever.